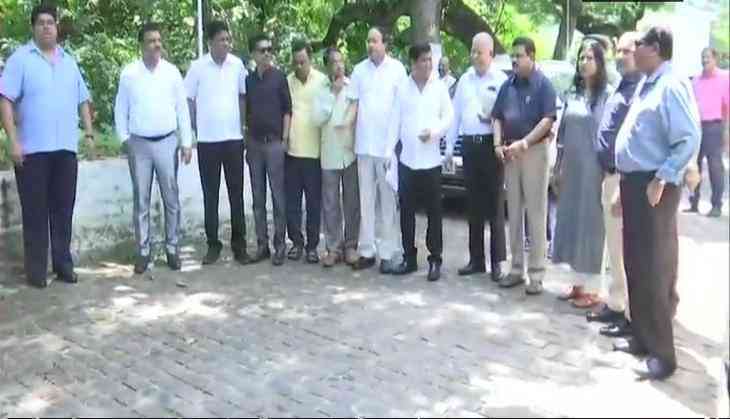 As Goa's ailing CM Manohar Parikar is admitted in AIIMS in Delhi, the Goa Congress, along with its 14 MLAs stake claim to form government in the state. As per news agency aNI reports, they have submitted a letter before the Raj Bhavan but there has not been a meeting between the Governor and them. “Submitted 2 memorandums & requested that situation to undergo election within 18 months shouldn't arise. People elected us for 5 yrs. If present govt is not capable to function, we should be given the chance, we'll do it,” said Chandrakant Kavlekar, Congress Legislature Party Chief. “We're a single largest party, should've been given the chance earlier. See how govt is functioning today. Government hote huye bhi na ke barabar hai. We have numbers so we're staking a claim. Guv will be here tomorrow. We'll request him for it, said C Kavlekar, Congress Legislature Party Chief. However, there has not been a meeting between the Governor and them. In the 40-member Goa assembly, Congress party has 16 MLAs in the state, that makes it stand as the largest party, five short of the halfway mark. After the Goa polls threw up a hung verdict last year, BJP-led Parrikar cobbled up a majority for the 14-member BJP with the support of MGP (3), GFP (3) and Independents (3) even as a lone NCP MLA is floating around.